Used BMW 3 Series Review - 1999-2006 Reliability, Common Problems | What Car? What should I look for in a used BMW 3 Series coupe? If a potential buy doesn't have a complete service history, walk away. A fully-stamped service book not only reduces the risk of buying a dud, it also increases its desirability (and therefore price) when you sell it on later. The suspension is the most likely area to cause concern, so listen out for any tell-tale clonks on a test drive. But also check the tracking, which can also go awry. Sub-standard handling and premature or uneven tyre wear are sure signs of possible trouble. Also watch for misfiring engines on early cars, and check that the electric fan for the engine works properly. Some fail - and even when they've been replaced, damage may already have been done. So if the service records show that a new one has been fitted, inspect the head gasket closely. However, the vast majority are trouble-free, robust and will give at least a decade of good service if looked after. What are the most common problems with a used BMW 3 Series coupe? 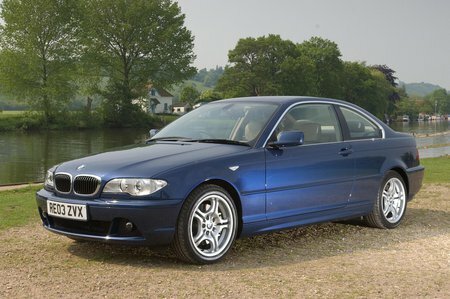 Is a used BMW 3 Series coupe reliable?